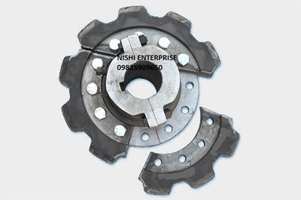 At Nishi Enterprise, we design and manufacture a wide range of cutting-edge sprockets and conveyors based on the requirements of our clients and customers. Whether you are looking for standard versions or custom made products, you can rely on us for providing you with the best quality products. You can simply provide us with samples, drawings and other details pertaining to specific requirements and based on that we can create custom sprockets and conveyors that work well for your business. The conveyors that we usually create are available in numerous pitches. For instance, you can get sprockets that range between 3/8" pitch and 3" pitch. The conveyors that we have to offer come between 11/2" pitch and 12" pitch. We also make our products with the finest materials that guarantee a long life and excellent performance. The hardening and tempering procedures that we use ensure a long life for all our products. Ever since we launched our company about four decades ago, we have been designing and developing cutting edge sprockets and conveyors for our customers both in India and abroad. Our products are always compliant with international quality standards. The best thing about the sprockets and conveyors that we have to offer is that they are available in a wide range of specifications and you can also get them in custom variants. Our conveyor sprockets are notable for their non sharp teeth as well as long gaps between teeth which makes them even more versatile. If you are looking to get the best sprockets and conveyors, simply discuss your needs with us and we can get you the finest specimens. 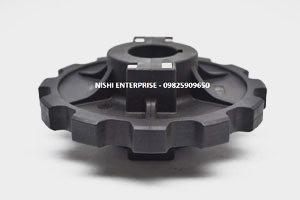 Being a leading manufacturer of conveyors and sprockets, we at Nishi Enterprise specialize in fabricating, exporting and supplying high quality conveyors and sprockets that are known for their powerful performance. Since we only make use of finest quality raw materials, they deliver excellent performance for a long time. The highly efficient sprockets and conveyors are used in a wide range of industrial fields. The best thing about choosing our sprockets and conveyors is that they are also available at the best prices.